Electronics brand LG wanted to partner with Dolby to raise awareness and consideration, broaden reach and create some buzz for the new razor-thin range of LGW7 TVs. 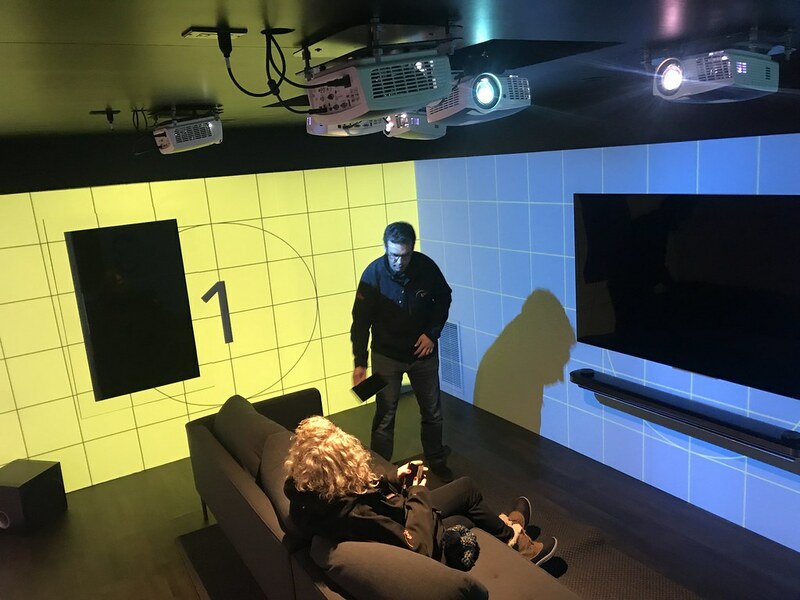 They found their answer in Cinema House, a 20-foot by 20-foot structure constructed from two shipping containers that, as its name implies, blends the aura of the cinema with the aesthetics of a modern home. Inside Cinema House, six people at a time sit on a large couch as the lights dim and the LGW7 illuminates before them. The TV broadcasts a sizzle-reel that demonstrates its capabilities. Then, using an Igloo Shared VR, they are immersed in a full 360° experience that emanates from the screen onto the house’s walls with clips from the Netflix movie “Okja,” and the hit series, “The Defenders” and “Stranger Things 2”. Starting in New York, the experience went on tour to visit several US cities during 2017 and 2018, including LA, Chicago. Cinema House picked up plenty of media coverage, and based on its initial success, LG Electronics decided to extend the roadshow to take in several more cities.